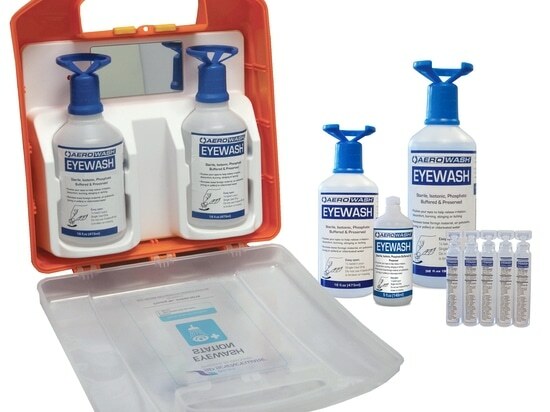 Aero Emergency Eye Wash Solution, distributed by Bel-Art - SP Scienceware, is an all-in-one eye wash that combines sterile saline with a buffered, pH neutralizing solution to not only rinse impurities and irritants from the eyes, but also help the eye return to a normal 7.4pH level by quickly neutralizing corrosive chemicals. Along with the 16 and 32 oz. sizes, 5 and ½ oz. 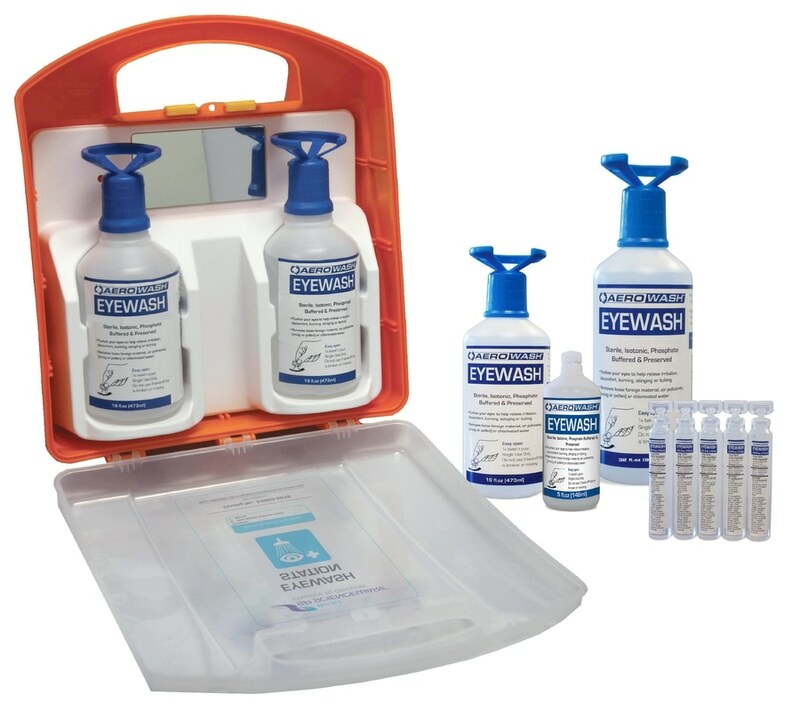 sizes are also offered that can be easily included in portable work stations or in pockets for high risk situations. All of the bottles have easy-to-open quick twist tops for immediate access. A wall mounting station that contains two 16 oz. bottles is also available. It includes a cover to keep the bottles clean from dust and impurities and offers a carrying handle to make transport for field work easy.